A fusion of cutting edge science and ancient wisdom, Cellular Awakening shows that whatever illness you may have, you have the potential to heal yourself. Start reading Cellular Awakening on your Kindle in under a minute. Barbara Wren is the founder of the College of Natural Nutrition and has been teaching and lecturing for the past 27 years, showing people a different approach to healing through nutrition and healing techniques. 3.0 out of 5 starsUseful. I like the message in this book - I'm a naturopathic nutritional therapist, and the message, on the whole, is from a naturopathic view. It's not brilliantly put together, as in, the author doesn't articulate her points clearly enough, BUT, if you read the book, she explains them again in different ways, enough times, for you to fully understand the clear messages of the book. There are also some handy technique tips and basic nutrition advice - a very good starting point for anyone looking to improve their health! This book gives an amazing insight into preserving and maintaining general health. It is a must read for every human being; as we are all personally responsible for own health and well being. In particular, this book should feature in every medical student's reading list. 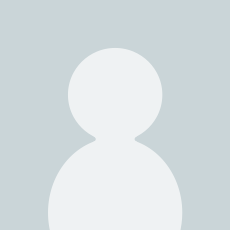 I have been astounded that there could be any negative review of this author (one review in particular was quite scathing and clearly came with a very personal agenda against the author), because her style is genuine and entirely without ego. She shares her wisdom for a price that is affordable to all and has remarkable wisdom to share. Highly recommended, I'll be buying this for my loved ones. This is an amazing book which is simple in explaining how and why our health suffers and how to get well again by following natural procedures. A useful book for any age. Whilst reading Cellular Awakening, it was resonating with me on many levels. I have now purchased a hard copy of this book and since it's arrival my husband has not put it down. He now knows how he can address his cholesterol and thyroid problems, we can both see why one of our daughters had an eating disorder and suffers continuously with a bad throat and the other has weight problems and polycystic ovaries. For anyone seeking a cure to an illness without having to visit the doctor to obtain a prescription for a drug that will suppress their symptoms, this book is for you. Once you read it and take responsibility for your own health I don't think you would ever look back. In my opinion it helps to have an understanding of other holistic therapies in order to put the theories into perspective. A very well written book that is a must for all families to read. I hope this review is helpful to anyone considering buying it. 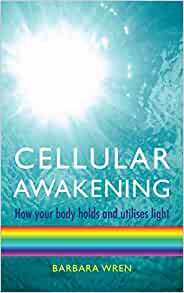 Cellular Awakening: How Your Body Holds and Creates LightI love Barbara Wren's book, it is a real pearl of wisdom. This book is jam-packed with good solid information and provides knowledge about such things as: How our amazing bodies resonate with the Universe; the chakras and meridians and how we bring light into our bodies; Universal and Individual cycles; 'Herrings-Law' and healing; and how we can help ourselves to align with Nature's rhythms. nothing is left out, this book is the full package. Three mini case histories are also included. Well worth a read. I started reading this book this afternoon. I could hardly put it down. How to take responsibility for your own health. I believe what she says. We have to take responsibility for our own health. however with so many pollutants around us we have to make ourselves aware of them. 4.0 out of 5 starsExcellent book! I learned quite a few things when I read this book and I thank Barbara for that. I really was never convinced about the approach Western medicine takes when it comes to our body and our health and by reading Barbara's book I realised I was right not to trust that approach. Today, I understand much better the natural process our body uses to detox and cleanse and how antibiotics -rather than helping- arrest that process and push the toxins our body is trying to get rid of deep into the cell, causing other diseases like cancer in the future. The book also provides several techniques to help our body restore itself to health. The book is worth reading and hopefully other readers will agree with me.